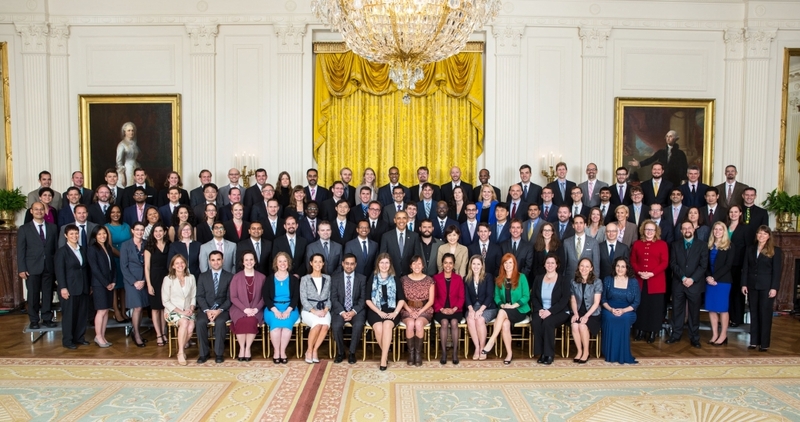 Professor Michelle O'Malley Receives PECASE Award and Meets President Obama! The Presidential Early Career Award for Scientists and Engineers, or PECASE, is the highest honor the nation can bestow on a scientist or engineer at the beginning of his or her career. Professor O’Malley is one of 105 PECASE recipients for 2016. The award recognizes some of the finest scientists and engineers who show exceptional potential for leadership in advancing scientific knowledge in the 21st century. For more information, check out our original post about Professor O'Malley's PECASE Award.